The ” Volcano Plus ” wood burning fireplace insert from Supreme is a fine example of what a good working wood stove should be. We could tell you about how durable the stainless steel firebox is or how well the automatic air control works or even how nice the large glass door shines brilliant firelight and warmth but what we really want to tell is that its now offered at a super price ! If you have a brick fireplace and have been thinking of buying an insert, this may be for you. 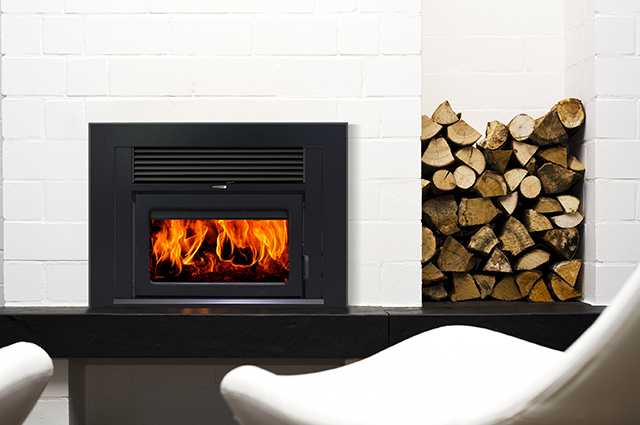 Inserts are much more efficient than a traditional fireplace, you’ll get more heat and burn less wood. This demo insert was used occasionally in our showroom for display purposes. The unit is in excellent condition and comes with warranty. A great opportunity to save money … contact us today !